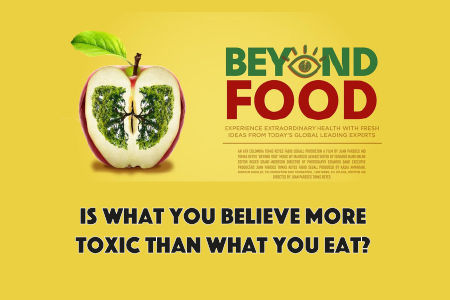 Blog Highly recommended documentary: "Beyond Food"
Despite being feeling quite pressured to complete the second draft of my upcoming book, a few days ago I uncharacteristically gave up an evening to see a movie made by a friend of a friend. This proved to be one of many instances of remarkable coincidences that New Age folks would call “The Law of Attraction” and quantum physicists might call “spooky action at a distance.” The first instance was meeting and doing this interview with Dr. Pankaj Vij, who seemed to be lecturing from my upcoming book. Another synchronicity was meeting a Facebook friend, Alex Lightman, who posted that he needed my Comic-Con pass, which I couldn’t really use. It turns out we both know many of the folks in the anti-aging and transhuman movements and have been to Renaissance Weekend. He asked “what are the chances?” and I replied without irony, “100%”. 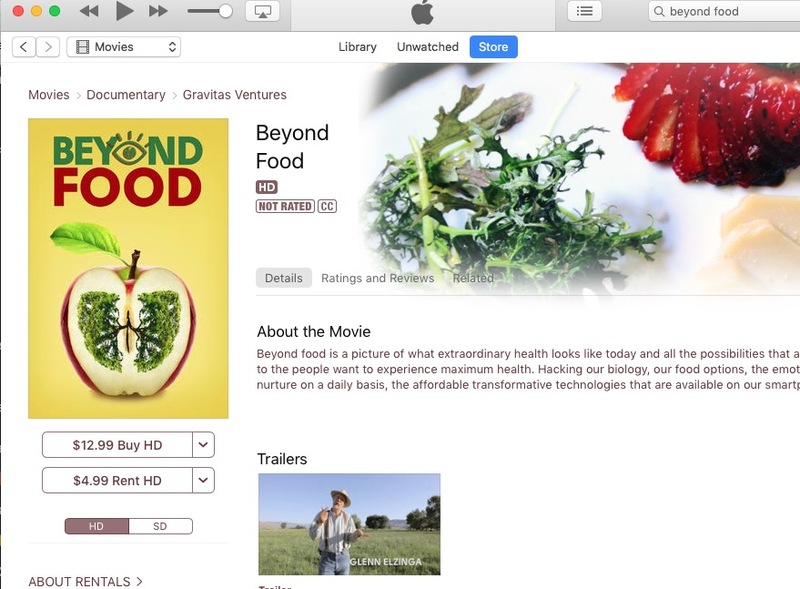 So just three days ago, I had the pleasure of seeing an amazing new documentary movie, Beyond Food, and meeting the film’s auteur, Tomás Reyes. Reyes is a gifted chef, photographer, and polymath and the food he prepared made it more than worth the trek. But experiencing his film made me realize that things do happen for a reason and that collectively, consciousness is evolving towards a new kind of non-dualistic, higher level thanks to people like Reyes who find a way to open the space between the previous falsely opposing dialectics of fat vs. sugar or paleo vs. neolithic. 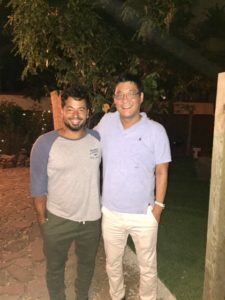 In 2013 and 2014, Reyes went on the road to meet and interview experts about food, optimal living, and what they had learned from their journeys. The result is a film of deep resonance for many people who have cultivated the appropriate amount of skepticism for authoritarian dogma. If you have been paying attention, there is a lot of contradictory information about food and the only conclusion we can reach is that someone, if not everyone, must be oversimplifying. Instead of choosing sides as so many documentaries do, Reyes invites the viewer to use intuition and insight to craft their own wisdom for enjoying eating and life. It is fresh, fascinating, and funny. This movie features such celebrities as Mariel Hemingway and Dave Asprey as well as some very interesting people in brain science, Wiccan composting, cattle ranching, and big wave surfing. You can download the movie on iTunes as well as many other on-demand sites. P.S. Synchronicities imply you are on the right path. When you are stuck in a serial or scripted life, you are going to feel like you’re in Groundhog Day or The Truman Show. When you are flowing with your intended, path, you will constantly run into allies and signs to encourage you. To my delight, Reyes’ movie had precisely the same leitmotif of my upcoming book, The Telomere Miracle. I also hope to teach people the mechanics of cell biology, breathing, consciousness, sleep, exercise, diet, and supplements so that they can all create “extraordinary health” of a personalized nature. The idea that there is one “perfect” diet that be followed by everyone is a fallacy. For starters, there are significant genetic differences that make a diet that might work for one person, sub-optimal for another. For example, I recently read that that your APOE type determines whether you will do well with an Atkins style Low Carb/High Fat diet, or whether a Mediterranean diet is preferable.